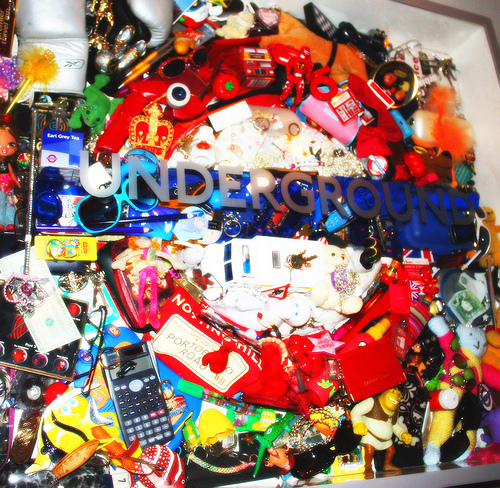 Posted 21st September 2012 by paulhollinghurst in Advice, Fares, Problems at stations. Ticket offices are opening for shorter times, and it’s more common to buy tickets online for collection from a station these days. Consequently, ticket machines are becoming more and more important – and have more potential to frustrate the unwary passenger. FixMyTransport users have reported a wide range of ticket machine issues. The good news is that they often relate to problems that are easy to fix, and we have had some good results in this area. So, what causes passengers frustration? Well, there are ticket machines with screens that are impossible to read. There are ticket machines that are out of order, although in this case SouthEastern do explain how this is handled and how the passenger should not end up paying more than the original fare. There can be long queues when machines are out of action, raising the question of whether it is reasonable to abandon the queue and buy a ticket on the train. 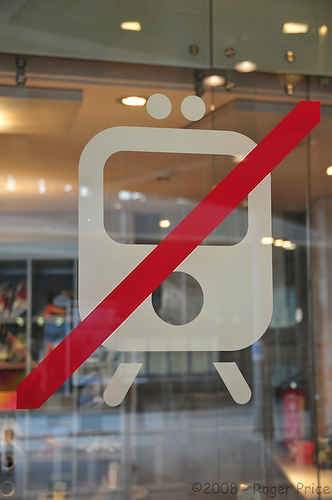 Despite rail companies specifying maximum queueing times in their passenger charters, it is unclear whether this gives passengers any rights to abandon a queue. Passengers are also rightly concerned when little seems to be done to make sure they are travelling with valid tickets. Finding out who is responsible for problems at a particular ticket machine can also be a challenge – but one we can help you with. Then there’s the issue of collecting pre-paid tickets from machines. Some stations allow you to pick up pre-paid tickets at the ticket office; some insist you only use the machines. Some companies will allow you to travel with just the booking information if you join a train at an unstaffed station with no machines (Greater Anglia recently said they allow this, and you can travel until you get to a station where you can pick it up), whereas other companies don’t. If you know the policy of your local operator, please tell us in a comment below. It’d be great to compile a definitive list! Unfortunately for passengers at stations such as Liverpool South Parkway, there are no ticket machines, and even if there were, none of Merseyrail’s machines support pre-paid ticket pick-up. 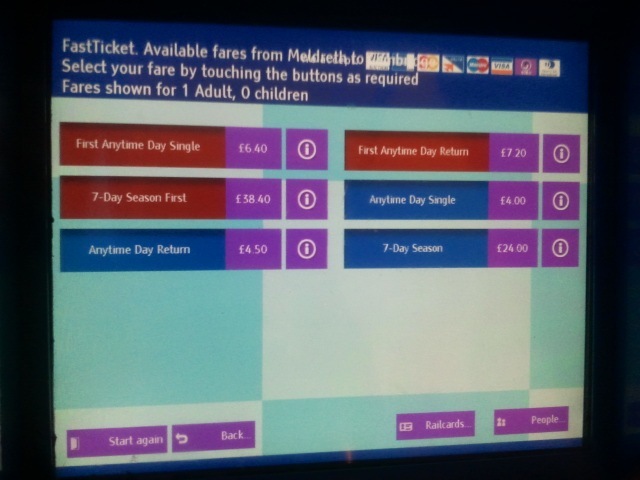 And even if you find a machine at your station, it is easy to pick the wrong ticket due to the complex fares system. Buying a ticket in advance is not always the solution: many machines will only issue tickets for travel on the same day, and those which do sell tickets for the next day often limit them to expensive peak ones for travel early the following morning. 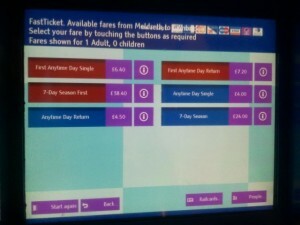 Many franchises have commitments to electronic ticketing and this will eventually help reduce the dependency on machines. Until then, if you’re infuriated by any ticket machine issues, FixMyTransport can be used to support campaigns pushing for improvements. That’s got to be better than the traditional method of giving the machine a good kick and swearing a blue streak.